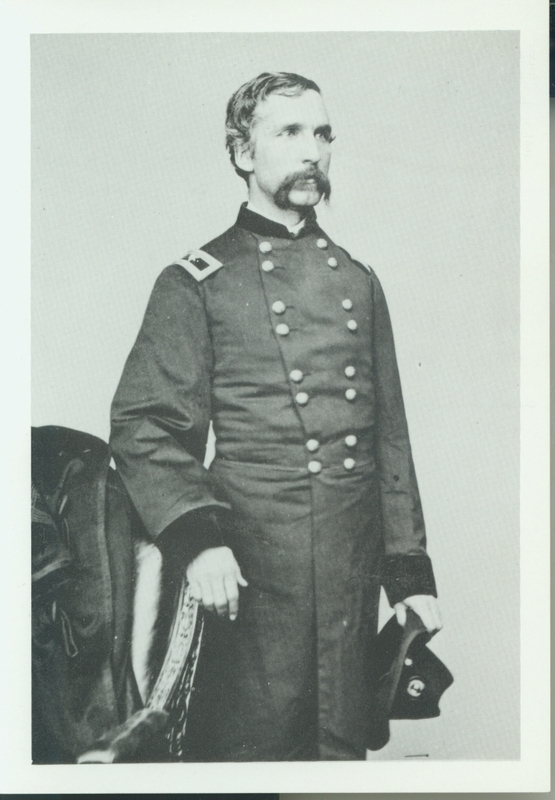 Undated portrait of Joshua Lawrence Chamberlain in Brigadier General's uniform. Postcard reproduction of original Matthew Brady photograph. Postcard, Copyright 1991, Pejepscot Historical Society, Brunswick, ME 04011.